At least six people were killed and three injured as lightning struck parts of Bihar on Saturday, officials said. 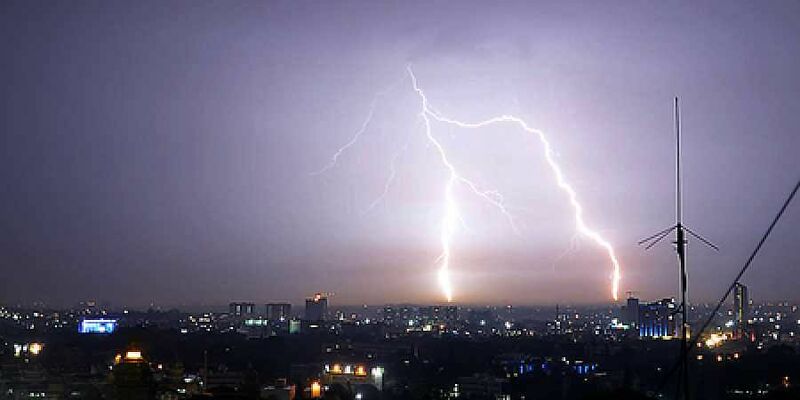 PATNA: At least six people were killed and three injured as lightning struck parts of Bihar on Saturday, officials said. According to the Bihar Disaster Management Authority, four people were killed in Munger district and two in Banka district. According to officials, the victims were transplanting paddy saplings in farmlands when the lightning struck. "An ex-gratia of Rs four lakh each to the kin of those who lost their lives in the lightning strikes has been announced," said an official.